One lucky winner will walk away with a valuable iTunes gift card. We're giving it away! 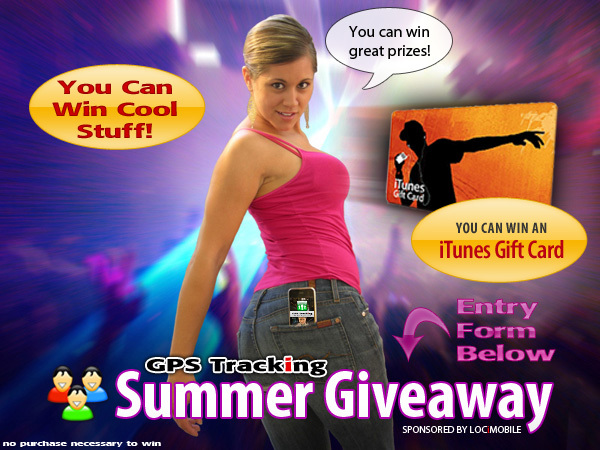 Sign up for the Free GPS Tracking Summer Giveaway using the form below. Also look for NicNac the Loci Girl (pictured to the left) around the Los Angeles area, she's giving away more great free stuff. Tell all your friends to download the app so they can join over 400,000 GPS Tracking users and experience mobile social networking.